i will use a slightly different format for this passage, due to the length. also, this one 'verse' will suffice for the entire week. next update will be monday april 3. From my [adoptive] father: gentleness, and an immovable adherence to decisions made after full consideration - be good natured (gentle) and kind. think fully and well; decide - that is all. no vain taste for so-called honours - he was humble and did not 'get a big head' about his power. 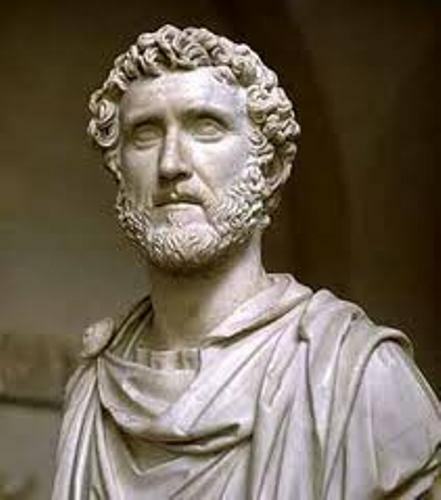 a ready ear for anyone with any proposal for the common good; to reward impartially, giving everyone their due; experience of where to tighten, where to relax - as emperor, i'm sure marcus had lots of people approach him with proposals. he did his best to execute justice for all; giving people a chance - giving them a fair shake. a common courtesy, excusing his court from constant attendance at dinner with him and the obligation to accompany him out of town, and those kept away by some other commitment always found him no different towards them - he was not a prima-donna. he did not demand constant attention. he was not haughty. focused and persistent in deliberation in council, never satisfied with first impressions and leaving a question prematurely - i find this counsel good in today's attention-deficit-disorder world, where we can't keep our attention focused on something for more than five minutes. marcus learned from his adoptive father to be focused on a task at hand until it was completed. he was not content with just hearing the talking points - he delved into topics and did not leave a question too early. his own master in all things, and serene with it - had self-discipline and was content. foresight for the longer issues and unfussy control of the least detail - this really rings true for the line of work i currently do. we call it "general interest" in my line of work. some people we deal with want to "haggle" about smaller amounts and they lose sight of the bigger picture. for example, on a $1 million project, there is no point in chasing down $10 issues; you should be focused on $50K or even $100K issues. the check he put in his reign on acclamations and all forms of flattery - he did not let power get to his head; was not flattered. his constant watch on the needs of the empire, his stewardship of its resources, and his tolerance of some people's criticism in this area - he did his duty and was a good steward. he allowed people to give him feedback and probably accepted some of it. no superstitious fear of the gods, nor with men any populism or obsequious courting of the mob, but a sober steadfastness in all things, and nowhere any vulgar or newfangled taste - he acted according to nature; and man's nature is to act with reason. therefore, he did not give into superstitions nor was he swayed by the popular sentiment of the day - which is here today, gone tomorrow. he focused on timeless values and reason and logic that was permanent. In those things which conduce to the comfort of life - and here fortune gave him plenty - to enjoy them without pride or apology either, so no routine acceptance of their presence or regret in their absence - he knew his position, and did not apologize for it, or feel guilty of it, not did he flaunt it before others. he accepted his fate. the fact that no one would ever describe him as a fraud or an impostor or a pedant, but rather as a man of mellow wisdom and mature experience, beyond flattery, able to take charge of his own and others' affairs - he was genuine and not two-faced. again, he did not let his power and position get to his head. he simply did his duty. sociability, too, and a sense of humour, not taken to excess; sensible care of his own body, neither vain nor valetudinarian, but not neglectful either, so that his own attention to himself left very little need for doctors, doses, or applications - he was social; we are social beings and have a need and a duty to interact with others regularly. our social-ability improves when we have a smart sense of humor (not too dry and not in excess, but just right). sensible care of the body would mean finding the right balance. there are those who would spend hours in the gym; or hours prepping and eating the best foods. then there are those who would spend no time in the gym and eat only twinkies. both approaches to care for the body are not within reason. definition of valetudinarian: a person who is unduly anxious about their health. Most importantly, his readiness to defer ungrudgingly to those with some special ability - it might be in literary expression, or the study of laws or customs or any other subject and to give them his own active support to reach acknowledged eminence in their own specialities - some people want to be the know-it-all and will be such a know-it-all, they begin to misrepresent the truth. the concept here is that we can and ought to defer to experts. with that said, it would be wise to collect 360-degree feedback, to ensure as much relevant data and information has been collected. the point here is to not be an expert in all things. leverage others' knowledge. Acting always in accordance with tradition, yet not making the preservation of tradition an overt aim - when living in guatemala, often i would visit homes where on the door it said, "we were born catholic, we are catholic, we will die catholic." there is no sense in preserving something that does not need to be preserved for its own sake. if i were to amend that sentiment, i would say, "i was born to find truth, i seek the truth, i will die yearning for the truth." we should ever be seeking and amending our outlook and philosophy on life in accordance with reason and should not hold on to anything just for the sake of tradition. 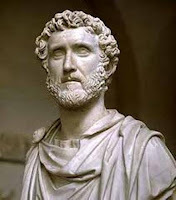 further, no liking for change and chance, but a settled habit in the same places and the same practices - as the march 28th Daily Stoic entry says, "chaos ensues from not having a plan." stoics accept and even love their fate (amor fati), but that does not mean they leave life to chance. in every aspect, if they have control and wish to make the world a better place, they do so. excellence comes with habits, so build good ones. to resume instantly after attacks of migraine, fresh again and vigorous for his usual work - truly an impressive ability; to be able to suffer from illness or setbacks, but when addressed and rectified, having the ability to start anew. many suffer from loss of momentum when setbacks happen. not to keep many matters secret to himself, only a very few exceptional cases and those solely of state concern - transparency is the name of the game these days in the year 2017. too often our society has learned hard lessons when people keep things in the dark. granted, there are times when discretion is needed, but the more light and transparency while managing the risk, the better society is. sense and moderation in such things as the provision of shows, contracting of public works, doles and distributions - the acts of a man with an eye for precisely what needs to be done, not the glory of its doing - doing things for the right reason instead of for fame or recognition. this is sound reasoning. He was not one to bathe at all hours; he had no urge to build houses; he was not particular about food, the material and colour of his clothes, or youthful beauty in his slaves; the fact that his dress came from Lorium, sent up from his country house there; the many details of his way of life at Lanuvium; how he handled the apologetic customs officer in Tusculum, and all such modes of behaviour - related to the care of the body, he did not take these matters to excess. he did what was prudent. he may have been a minimalist. Nothing about him was harsh, relentless, or impetuous, and you would never say of him that he 'broke out a sweat': but everything was allotted its own time and thought, as by a man of leisure - his way was unhurried, organized, vigorous, consistent in all - in a word, he was deliberate. in another word, he was ordered (in all aspects of his life). What is recorded of Socrates would apply to him too: that he could regulate abstinence and enjoyment where many people are too weak-willed to abstain or enjoy too indulgently - it is a sad state of affairs that some people seem to ruin the fun for everyone else. one of the key concepts i learned from my humanities and history if civilization courses in college was: moderation in all things. if more people were moderate in their consumption, we would not have the ills that society has today. there would be no drunk driving or binge drinking or pollution in the ocean. Strength of character - and endurance or sobriety as the case may be - signifies the man of full and indomitable spirit, as was shown by Maximus in his illness - endure life and all trials well; your attitude and strength of your character is everything. never give up; be persistent. be sober.